Do you remember the Playstation 2? Of course you do. It’s one of the best-selling consoles ever created! If you don’t remember it, you’re probably a happy owner. I still own the Playstation 2 and I’m very happy with it. The library of games is incredibly vast, which means that one doesn’t have to search every corner for a new game to play. Anyway, while browsing Google News a while ago, I noticed a headline about the Playstation 2..
Isn’t that incredible? The number is so large that it is nearly impossible to comprehend. Needless to say, reaching this number was a milestone for Sony. They should be proud of their baby. I found these numbers at Wikipedia.org. Head over there to get the full picture. It is a very interesting read for us game freaks. Anyway, as you can see, Nintendo is not far behind with its DS handheld. It will be interesting to see if they catch up. The new Nintendo 3DS is due for release tomorrow by the way. Must also add that the Playstation 2 is not dead. Is it not ten feet under? According to an article published by a magazine not long ago, Sony actually sold 2.1 million PS2’s in 2010. THAT’s impressive for such an old console (11 years old)! To put it in perspective, the PS2 sold better in 2010 than the Panasonic 3DO did in its lifetime. A question remains though.. Does this hurt the sales of the Playstation 3? 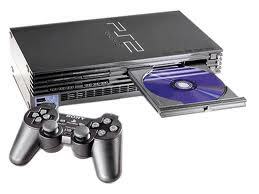 As for the future of the Playstation 2, I believe it will still be popular for some time to come. The combination of its affordable price and the gigantic software library is a winner. You can’t really go wrong if you have 10.000 titles to choose from! Before I stop writing, I must mention that the PS2 was released in South Africa and Brazil not too long ago. People living in those countries can finally go PS2. That will probably lead to even more sales.